Major Homes launches 'condormitel' concept | Major Homes Inc. IN the crowded local real-estate market, innovation is what sets one apart from other property developers. Major Homes is one such innovative new developer that offers a pioneering residential concept called Space—transforming the usual city condominium concept into a more practical investment opportunity and redefining the typical dormitory experience of students and workers in the health and BPO fields. Major Homes calls it the “condormitel”—a development with all the advantages of a condominium, dormitory and hotel all rolled into one. 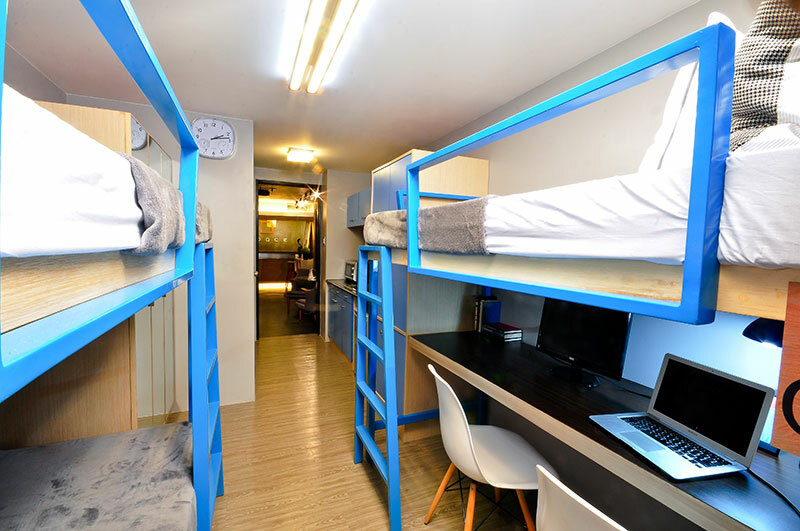 Introduced last year, Major Homes’ Space condormitel series features fully furnished units designed as comfortable dorm rooms with a minimum of three beds and a study desk. The buildings are strategically located in key urban areas of commerce, school and transport. Space especially provides condo buyers with a strong rental opportunity as a form of investment. The first Space condormitel was built in San Marcelino in Manila, near Adamson University. Its follow-up project was set close to another urban spot—the LRT-1 Station on Romualdez corner Sylvia streets in Ermita, Manila. With the success of both developments, a third instalment dubbed Space Taft has recently been launched. Space Taft is positioned along Taft Avenue’s university area, where top academic institutions like Philippine Women’s University, De La Salle University, College of St. Benilde, St. Scholastica’s College and UP Manila are located. The 28-story development offers more than 400 air-conditioned units, all of which are fully furnished and equipped with Wi-Fi Internet coverage. Unit areas range up to 19 sq m, with bed space ranging from three to four per unit, depending on the unit size. Space Taft boasts of hotel-like amenities like an air-conditioned lobby, active gym, sprawling garden, lounge benches and sky garden. It also has fire- and smoke-detection systems, water reservoir, standby emergency, centralized garbage collection, high-speed elevator, CCTV and 24-hour security. Unit owners are assured of their well-being with their own security key card. The development also has a study hall. Two levels of the condormitel will have retail outlets for dining and shopping, making everything within reach for its residents. Major Homes considers this a “sachet” approach—being able to rent out the units on a per-bed basis, to make it more within reach of ordinary bedspacers. This also makes Space a truly attractive investment for condo buyers. “At a total contract price of a little over P1.0 million, or less than P10,000 monthly amortization, you can now own a unit that you could either use or lease out to students,” explained Oreta. Major Homes offers a worry- and hassle-free rental scheme for unit owners. An asset management group will be responsible for all contract-related issues, including collecting rental fees. Unit owners can simply expect their monthly income to be deposited to their bank accounts every end of the month, according to Oreta. That’s a truly revolutionary way to treat city living spaces, for both investors and homeseekers.